High Point- Carl Michael Earnhardt, 72, passed away July 24, 2018 at his home. Born October 12, 1946, he was the son of the late Oliver and Helen Davis Earnhardt. Carl was preceded in death by his parents, he sister; Jane Green, brother; Jerry Earnhardt SR, granddaughter; Brittany Boone and great grandson; Braxton Tyler Cross. He is survived by daughters; Tracy Bailey (Michael) of Randleman, NC, and Carla Michelle Earnhardt of New Mexico, grandchildren; Derek Bourgeois (Rachel) of Cary, NC, and Candace Wood (Ryan) of Pleasant Garden, NC, great grandchildren; Robert, Wyatt, Jordin, Kayla, Jaylen, Camden, and Callie, sister; Debbie Parrish of Kernersville, NC and many nieces and nephews. Carl also leaves behind his special friend Buddy the dog. Buddy was with him most of the time and would sometimes sleep with him. He would alert the family if anything was wrong with Mr. Earnhardt. The family also wishes to acknowledge Carl’s wonderful CNA; Robin. In 1963, Carl was enlisted into the Marines where he proudly served our country and was honorably discharged in 1967. He loved music and played in beach bands. A memorial service for Carl will be held Sunday, August 5, 2018 at Midstate Cremation & Funeral Service, 304 Lanier Ave, Asheboro, NC 27203 at 2:00pm. 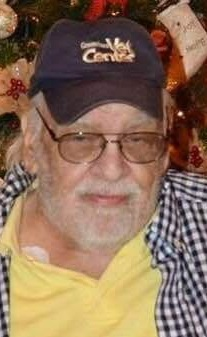 In lieu of flowers, please make donations to the Go Fund Me page for Carl Michael Earnhardt located at https://www.gofundme.com/y7uya-funeral-expenses to help pay for services.